Last week I had a blog comment I chose to not publish. This comment offered up two issues of a Zine that I figured I'd just feature today instead. 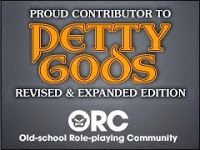 Today is a twofer because not only am I sharing a Free GM Resource, but I was given links to two of these Zines, and I figured I'd review the first Zine. 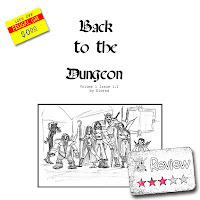 Back to the Dungeon is a Zine by Eldrad Wolfsbane. Sorry, but the link I had to this individual is no good, probably because his profile isn't public. The link above is to Volume 1 Issue 1.1 and here is the link to Volume 1 Issue 2. While the production values are arguably quite low on this Zine, I would say it should be for the nature of this work. It really reminded me of the poorly mimeographed copies of Zines from back in the day (I wonder how many people would even recognize a mimeograph these days) and I think this style was quite deliberate. is taking the information put together for his home campaign (The Little Barony) and assembling it for possible use by others. 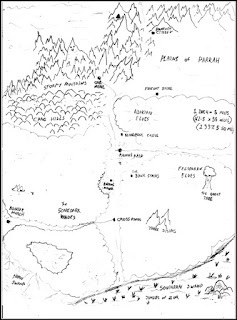 Issue 1.1 is pretty much a mini campaign setting with an old keep, a regional map, and a dungeon. Overall I liked the idea, even if I don't play that particular game & setting. I think the style could have been updated some if only for the fact that the old style of Zines were created a certain way out of necessity. This Zine isn't made on a mimeograph and it isn't a photocopy of a cut & paste master. I think moving over to a word document printed off to a PDF should require a bit more organization and layout. Not a lot, just some more. Of course this is just my opinion. A Zine like this I'm not so likely to print off and use as-is. I'm more likely to keep this as a PDF on my laptop or iPad and so I'd like some more features. If I was to print this off and work right off of the sheets...it would probably be pretty cool when I was done marking it up and annotating things. I think that Back to the Dungeon is worth checking out. If you happen to play Labyrinth Lord you might really get a kick out of it. Otherwise it is just good idea fodder. I think it would be cool if every GM shared their campaign worlds like Eldrad did. I'm glad he sent me these files and hope to see more of these Zines in the future. 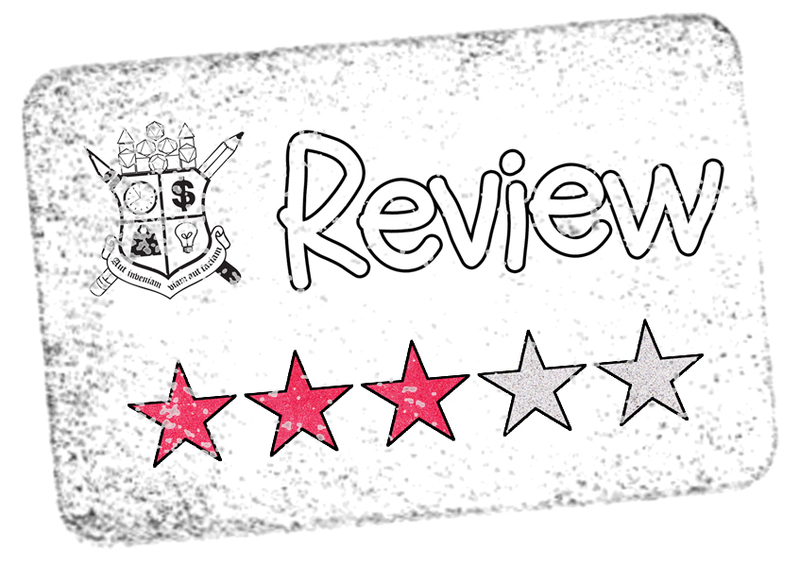 Hey thanks for the review! There is now an issue three and the fourth is coming soon.